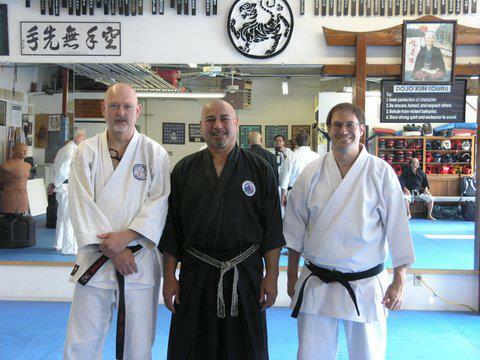 Sensei Bob began training with USKL in 1992. He received his 5th Degree Black Belt in October 2015. 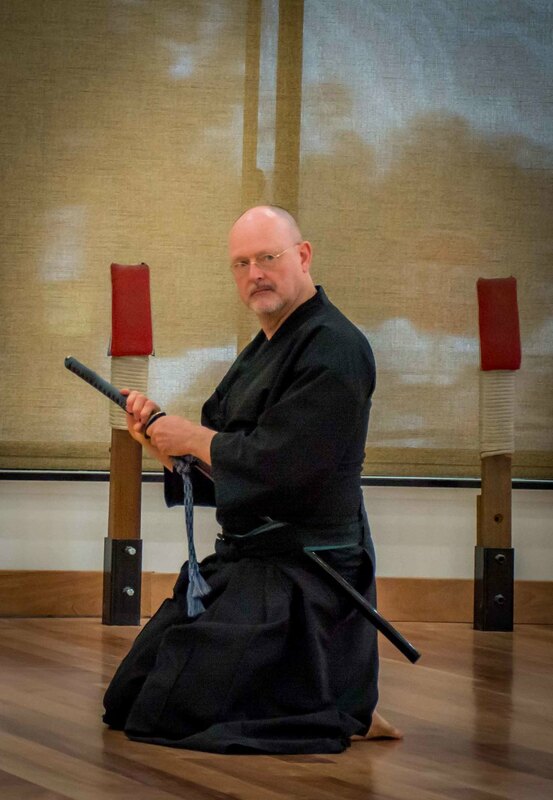 Bob has also trained in Kobudo (the art of traditional Okinawan weapons) with Sensei Aponte, Kyoshi Marquez and Shihan Nishiuchi and was awarded his 2nd Degree Black Belt in January 2008 by Sensei Aponte. In an effort to further his training, Sensei Bob joined the Matayoshi Kobudo Kodokan International in July 2008 and began studying under Sensei Franco Sanguinetti. This organization is directly linked to the Matayoshi Kobudo headquarters in Okinawa, through the legendary Kodokan Dojo. 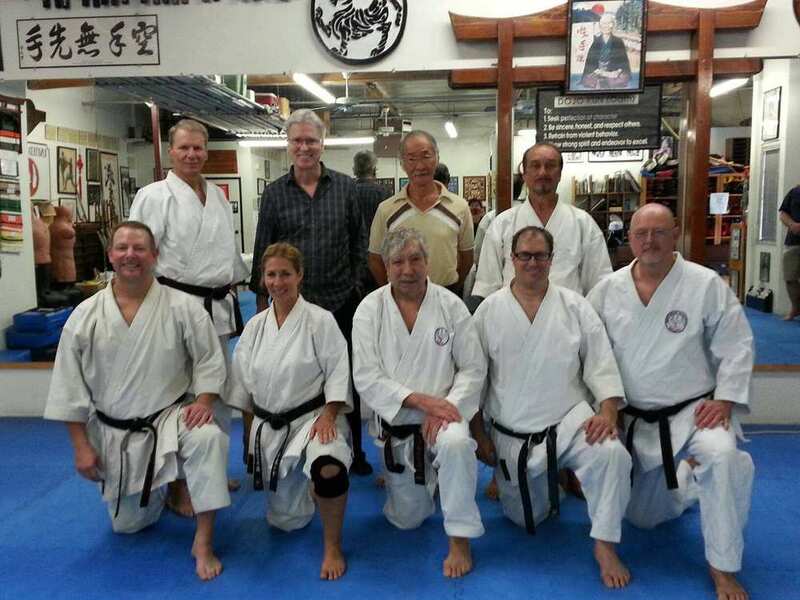 In February 2015, Sensei Bob was awarded his Sandan with the MKKI. In 2011 and 2013, Sensei Bob traveled with Sanguinetti Sensei and other members of the Matayoshi Kobudo Kodokan International to Okinawa and was honored to train with Itokazu Seisho Sensei, formerly Kancho (technical director) of Matayoshi Kobudo Kodokan. During these trips, Sensei Bob was fortunate to attend seminars in the empty hand arts of: Goju-Ryu with Yoshio Kuba Sensei; Konan-ryu Karate with Itokazu Seisho Sensei; and Shorin-ryu with Zenpo Shimabukuro Sensei. Inspired by Sensei Aponte's diverse martial arts background, Sensei Bob has also trained in Jeet Kune Do, Kickboxing and Escrima with Sensei James Doiron and has dabbled in Jiu Jitsu and Kendo. Bob is also currently a student of Araki Mujinsai-ryu Iaido under the instruction of Mike Kazmer Sensei and his sempai Tim Richmond. Apart from his normal daily work schedule, Sensei Bob is an avid gardener and works with his lovely wife Leslie rescuing boxers for the Boxer Rescue of Los Angeles. Sensei Bob also holds a Masters of Science in Interactive Telecommunications from the University of Redlands, and he created and maintained the original USKL website from its inception in 2001 until its revision in 2016. Currently, Sensei Bob teaches the advanced Shotokan class every third Tuesday and the Friday evening Kobudo class.